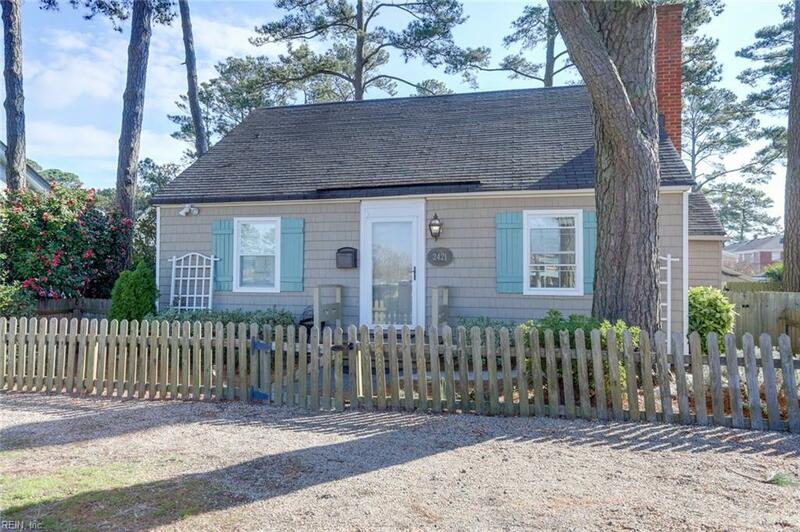 2421 Mediterranean Ave, Virginia Beach, VA 23451 (#10249959) :: Abbitt Realty Co. Awesome updated beach cottage blocks from the beach. 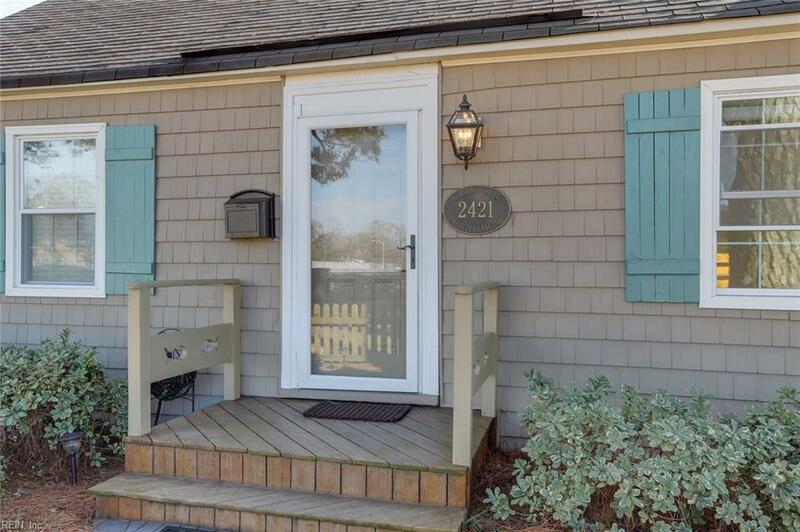 Come home for drinks on the deck after a fun day at the beach or lounge around the outdoor fire pit in the backyard! Newly updated and bright kitchen with gas stove, microwave, ice maker machine, pantry and eat-in kitchen area. 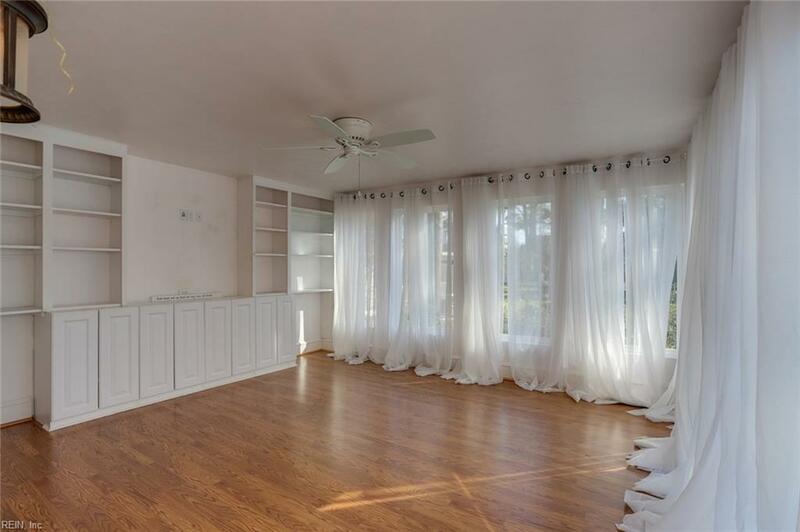 Large enclosed Florida room off master suite ideal for just relaxing or watching TV. Update master bedroom features walk-in closet and nice tiled shower. Upstairs features a large 2nd bedroom and storage area with full bathroom. Outdoor shower and detached shed ideal for storing chairs, surf boards, and much more. Side driveway and street parking can accomodate several cars. This cottage also features a whole house generator, and tankless water heater. 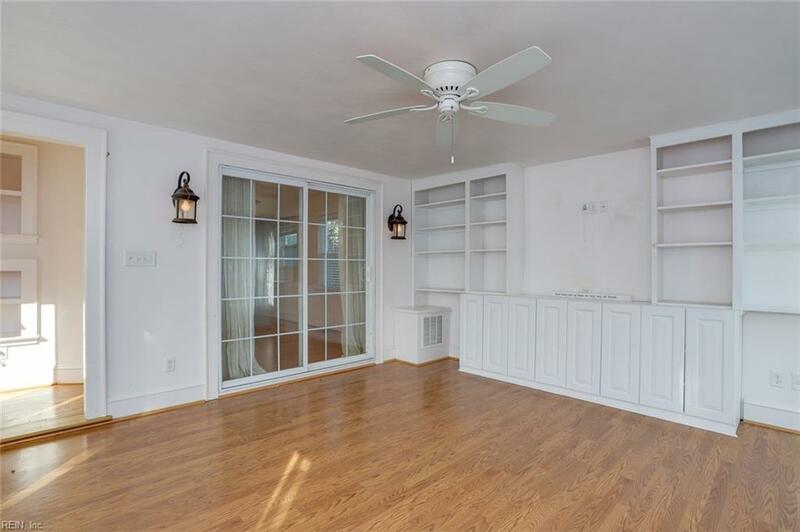 Living room features hardwood floors throughout and a gas fireplace. Come enjoy Old Beach living at its best. Hurry, won't last long.